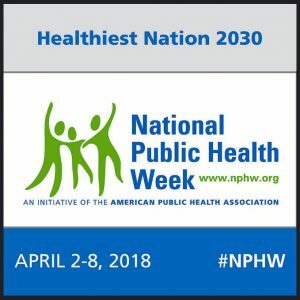 This week is national Public Health week. Public Health is such a broad term which can often make it difficult to answer those questions. According to the American Public Health Association, public health involves the promotion and protection of the health of people and the communities in which they live, work, and play. Public health is incorporated around everything we do as humans in order to stay healthy and live longer. People who work in the public health field strive to see the quality of health improve throughout the world, nation, state, community, and home. From tracking diseases, ensuring proper food safety, preventing injuries, or educating about drug use, the goal still remains the same, to help reassure people tha t they can remain healthy under any condition. Many jobs can fall under the public health field such as: epidemiologist, health educators, public health officers, public health advisors, environmentalist, community planners, nutritionist, public policy makers, etc. Some of the major public health accomplishments during the 20th century would include: childhood immunizations, prevention and control of infectious diseases, tobacco control, motor vehicle safety, cardiovascular disease prevention, antibiotics, and cancer prevention. Thanks to these and many other health advances, the Nation’s life expectancy rate has increased to over 75 years. Some of the public health challenges to day include: mental health, adjusting the healthcare system, controlling substance use and abuse, eliminating health disparities, focusing more on children’s intellectual development, and non-communicable and infectious diseases. Compared to the 19th century, professional in the Public health field work very hard to improve many aspects of health and continue to make huge contributions in order to improve the health of the population. 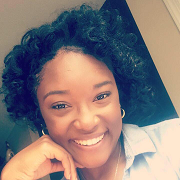 Dashauna “Day” Jackson is a Wellness Intern with the Cantrell Center. In her free time, Day enjoys enjoys binge watching Netflix, especially Grey’s Anatomy. She recently set up a table at the Cantrell Center to demonstrate proper hand-washing procedure in an effort to share the importance of preventing the spreading of germs. It was both effective and shocking as her demonstration left many stunned by the amount of germs still left on their hands after they thought they had washed them thoroughly. Day will be graduating from GCSU in Milledgeville on May 12th with a Bachelor’s degree in Public Health.